So I made the background and then went on the hunt for a nice focal point. 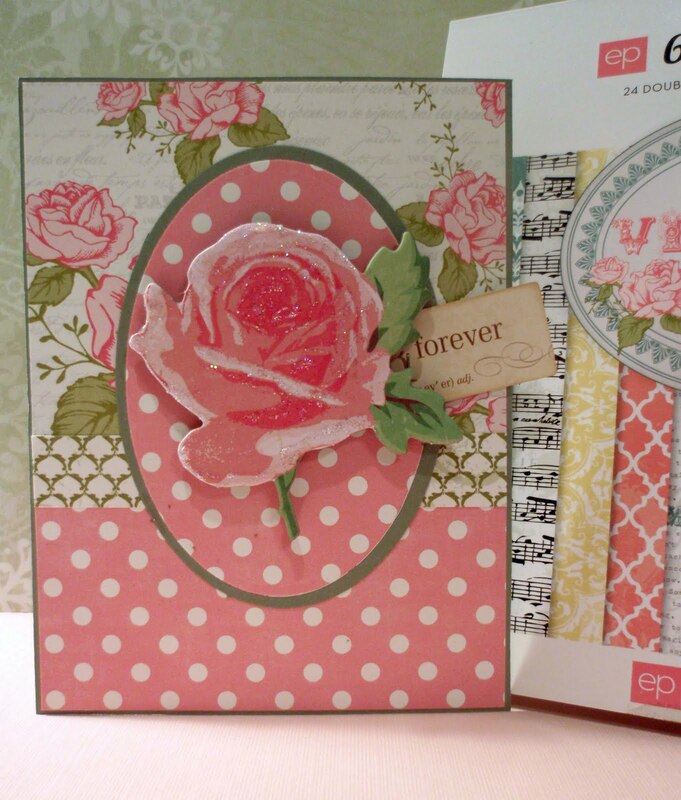 I couldn't believe my luck when I found this chipboard rose. It is made by Crate Paper. I added some Stickles and a little tag that says "forever". 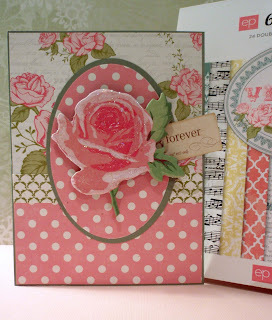 I cut two ovals with Spellbinders dies and finished up the card. As we come close to the ten year anniversary of 911, "forever" is on my mind, I will love my family forever. I hope I'll see you again tomorrow.